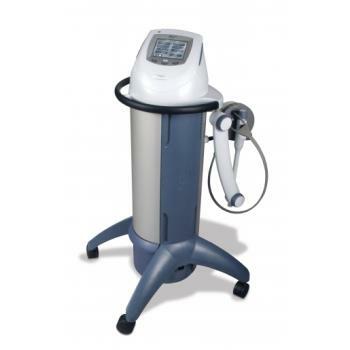 The Intelect SWD100 offers the ground-breaking innovations you’ve come to expect from Chattanooga with the safe, effective deep tissue heating therapy of shortwave diathermy. With full-color touch-screen interface, onboard clinical resources, customizable treatment parameters and more, the Intelect SWD100 is remarkably intuitive and easy to use. Quickly begin treatment with one touch to the home screen and then pressing “start.” Ideal for: pain relief, reduction of muscle spasm, decreasing joint stiffness, contractures, increased blood flow, chronic inflammatory conditions, bursitis, tenosynovitis and chronic inflammatory pelvic disease.